Online Season 22 - Reverse Draft -- CONGRATS DOK! This is a 2015 End of Year Championship qualifying event. 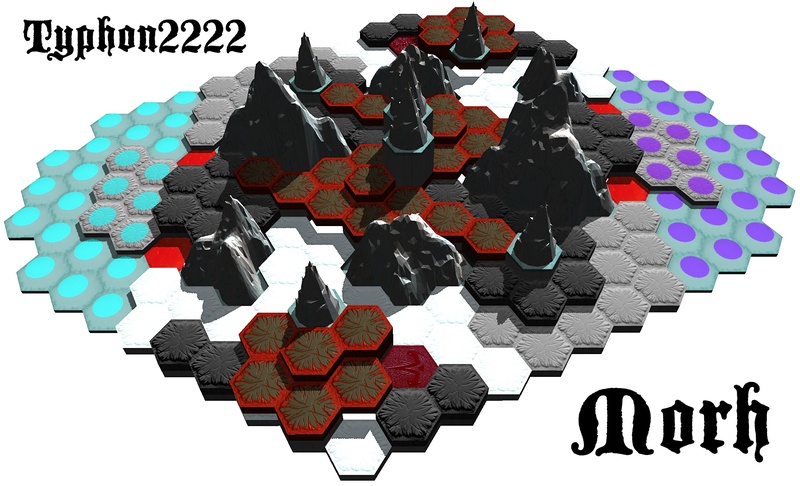 Each player submits one army of between 400 and 600 points, and between 7 and 20 figures. Army submissions may have more than 20 figures, but no more than 20 can be placed at the start of the game. VC Allowed, no Marvel. 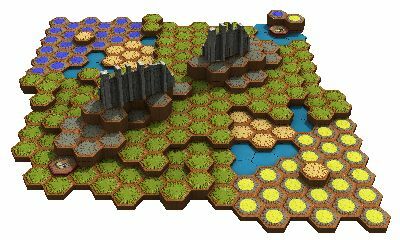 Standard 24-hex startzone restrictions apply when placing your army. Special Placement Rules: Players alternate placing one card's worth of figures from his or her army on any of his or her available starting locations until all figures have been placed. Trap: Roll one unblockable attack die against every figure standing on a glyph. Dice-off Equalizer - A check before each game to see the dice off win % for the tournament for each player will be made. If a player has a lower Dice off win % than his opponent, he will automatically win the dice off. Should the win % be tied, a dice off will be performed. Then the player who has taken less time than their opponent may note the current time gap in the chat window and warn their opponent that they are approaching the timed game finish. After that point, if the time gap between the two players increases by another 10 minutes beyond the noted gap, then the player who has taken less time than their opponent may end the game on time. The game will then go to partial card scoring. Additionally, if one player has taken 40 minutes less game time than their opponent, the player who has taken less time than their opponent may note the current time gap in the chat window and warn their opponent that they are approaching the slow play forfeit. After that point, if the time gap between the two players increases by another 20 minutes beyond the noted gap, then the player who has taken less time than their opponent may claim a win on time, irrespective of the game situation. The organizers reserve the right to nullify either of the time controls rules if we find that it is being abused or if we believe the time recorded on the app is incorrect. Because of the time control rules, it is important to use the app's clocking features correctly. Always press the "done" button when your turn is complete. If you decide to move to a position where your opponent has the option of a leaving engagement attack or engagement strike, use the appropriate quick message button to tell them to make that roll. If you have any out-of-turn movement (scatter, scurry, etc), press "done" when you are done with that movement. If you decline an out-of-turn action (e.g. you don't want to attempt a leaving engagement attack on Krug, or you don't want to scatter), press "done" to decline the action. Then the game is over and the winner is determined by partial card scoring. Note: If a wound is healed (and/or a destroyed figure is returned to the battlefield) then the attack or power that inflicted the wound (and/or destroyed the figure) does not count for the purposes of avoiding a stalemate. * "attacking powers" are defined as any special power on an army card or glyph that inflicts wounds, destroys figures, or takes permanent control of figures. Only the tournament referees (awesomeunleashed, Bengi, dok, Dysole, Filthy, Kinseth, Typhon, Xorlof) are authorized to make binding rulings. If no referee is present in a game, ask before offering your opinion. The tournament referees are awesomeunleashed, Bengi, dok, Dysole, Filthy the Clown, Kinseth, Typhon2222, and Xorlof. These players may make rulings on in-game disputes (line of sight, figures fitting on a space, dice rolled too soon/too late, etc) in games where they are not playing. If there is a dispute and one of these players is online, they may issue an on-the-spot ruling. If you have a dispute you cannot resolve, and none of the referees are present, you may stop the game and PM the tournament referees for a ruling. Last edited by Dysole; November 10th, 2015 at 12:00 AM. Corrected. There was some miscommunication between the code we have to set this up and the google forms and it cut off everything after Wolves of Badru alphabetically. I'm not sure exactly what happened but a work around was implemented and it should be good to go. This sounds super confusing. What's the incentive as the second player to bid. Almost seems convoluted enough that i'd just want to skip it and go straight to playing. Furthermore it seems like winning the dice off is more of a bane than a boon as the other player can force you to play under the point total. If I've brought Drudge and you've brought Stingers and my opening bid is "Eh, I'll play a Stinger light. ", if you don't bid lower you're going to have to beat Stingers with Drudge. As to the diceoff, well it all depends on the armies. In some situations, playing under the point total is not a bad thing. I'll take 2 squads of 4th Mass against about 5 squads of Groks. The goal is to end up with a balanced matchup. In some matchups, winning the diceoff will give you an advantage and in some it won't. Hmm I see. So as far as building my own army goes what level/grade of units should I focus on? What's more important is that it's breakdownable (i.e. something with a lot of high point heroes could struggle unless they're all bad so you'll be dissecting the other guys' army). You can pretty comfortably submit just about any level of units. Is there a space limit for armies? Standard 24-space startzone rules will apply. No extra hexes. opponent makes an army 400-600. We die roll, highest # wins. 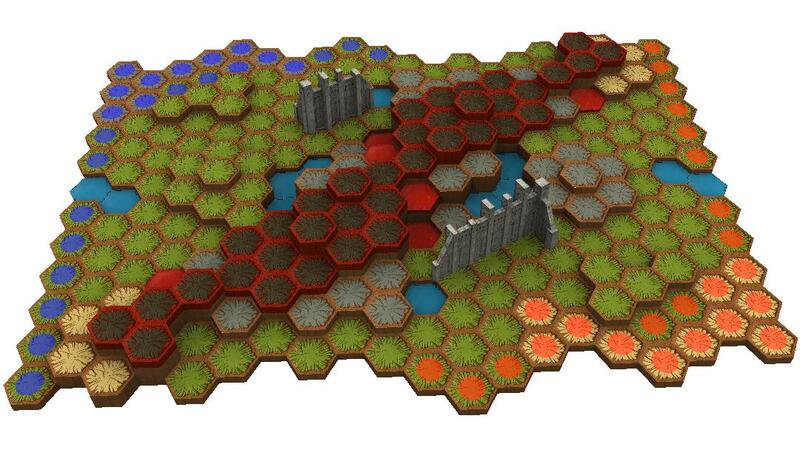 The opponent can then offer; "I will trade you armies under the condition that I sit out x many of x units." Then I can either say "Yes, that's good, let the game begin." or "No, offer up more." until both parties are satisfied / ready?